Say hello to the Wheel Pad; a 200 sq ft tiny house that is totally wheelchair accessible! 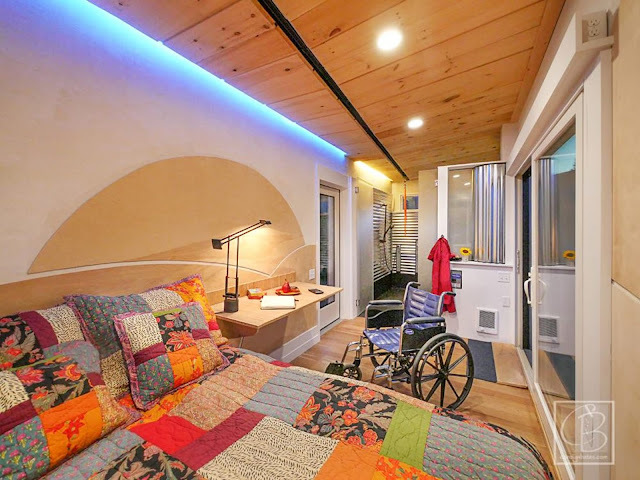 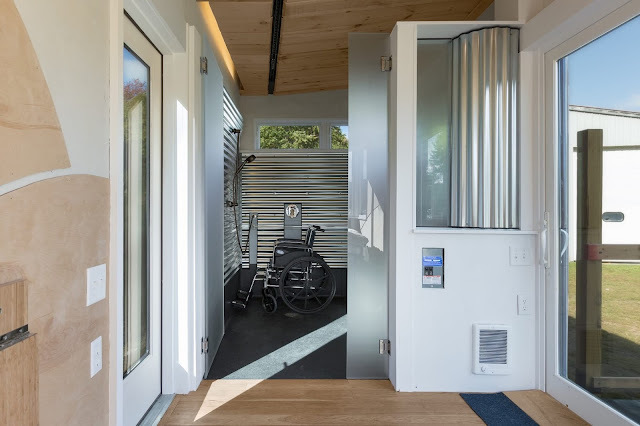 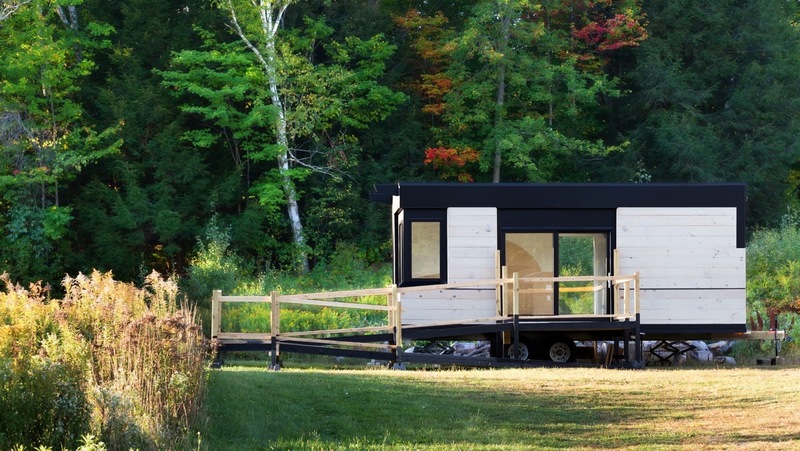 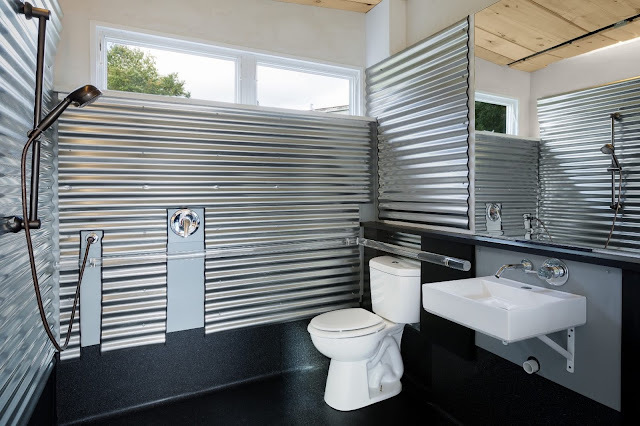 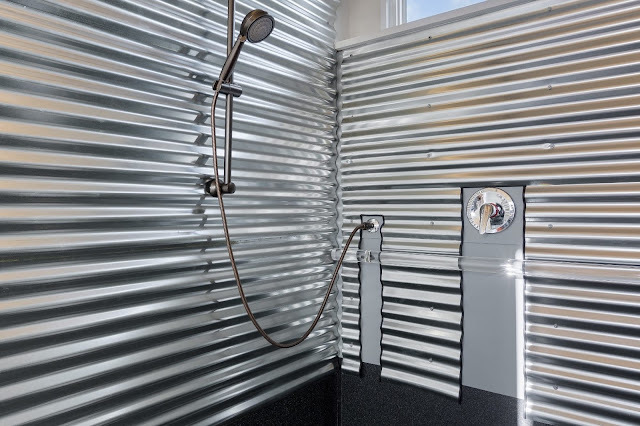 Designed by LineSync and built onto a 24 ft trailer, the home is completely functional for someone in a wheelchair. 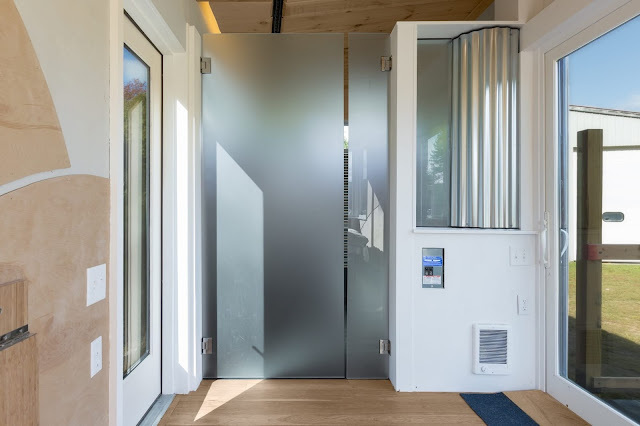 There's an access ramp to get out of and into the home, a Hoyer lift, rails, and doors that open in both directions. 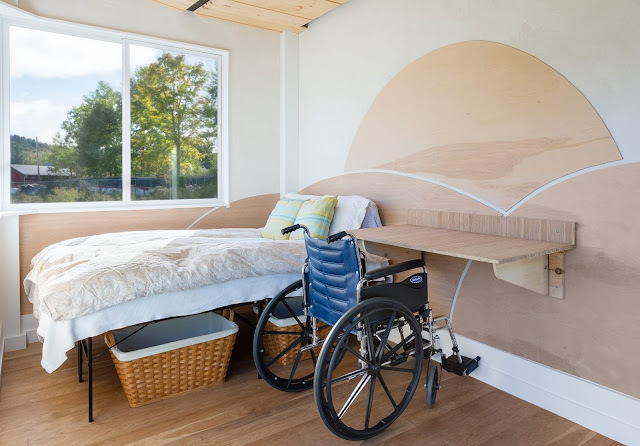 The Wheel Pad's outlets are also placed to be as easily accessed as possible. 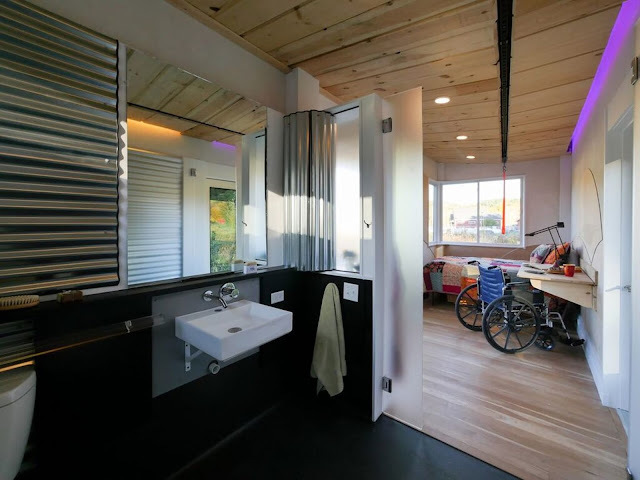 The single-floor layout of the home includes a bedroom, a foldable desk, and a spacious bathroom. 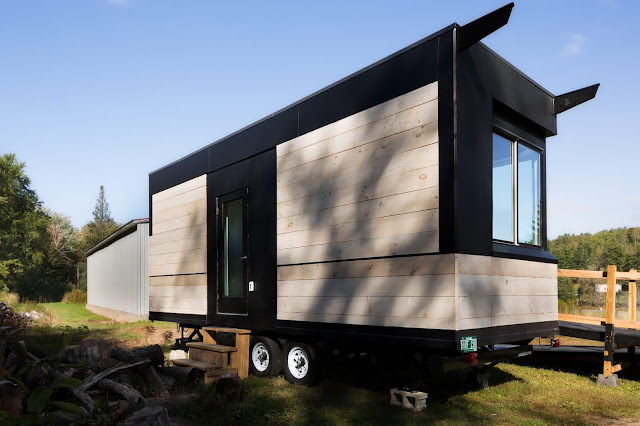 The home currently has no kitchen, but there may be plans to add one in the future. For now, the current model of the home is meant to be an additional property to a main residence. For electricity and water, the Wheel Pad is meant to be hooked up to a main home. 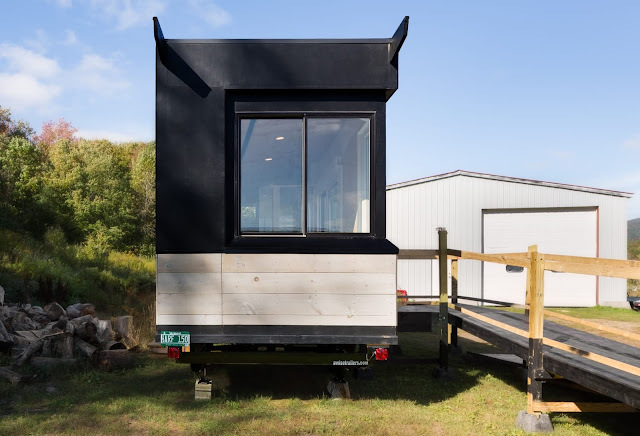 Made in Wilmington, Vermont, the home is currently available for sale for $50,000 or for lease for $1,5000 a month.